A journey that will capture the imagination. 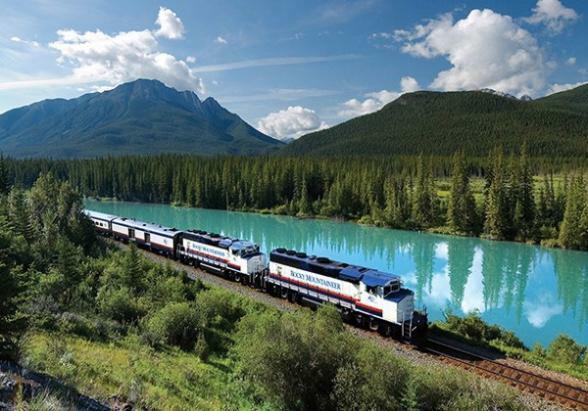 Combining the romance of train travel with the delights of cruising, this programme offers travellers a truly unique view of Canada’s dazzling scenery. 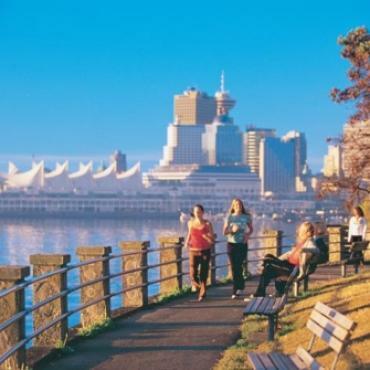 Visit Vancouver, Canada’s most beautifully-located city, where you board the Rocky Mountaineer for an unforgettable train ride to the breathtaking wilderness of the Rocky Mountains. 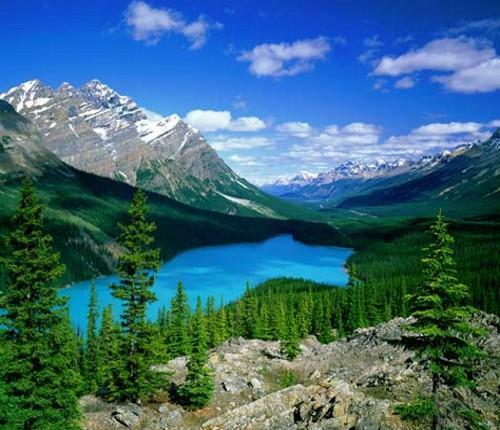 Spend a few days in this mountain paradise exploring the national parks of Banff and Jasper. 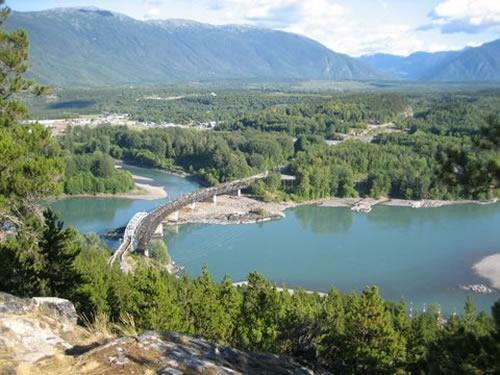 Set out for the Pacific coast onboard VIA Rail’s Jasper to Prince Rupert train and traverse Northern British Columbia. In Prince Rupert, embark on an enchanting cruise through the Inside Passage to Vancouver Island. 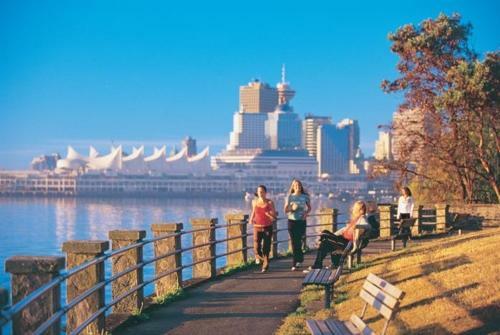 Visit Victoria, the charming provincial capital, before returning to Vancouver. For that extra measure of luxury, consider the GoldLeaf service. You'll enjoy a full length Dome Coach, dine in elegant surroundings and take in the mountain breezes from a large observation platform. The onboard staff provide you with the highest level of service. They are gracious, energetic, pleasant and attentive, and will keep you informed of the history and sights along the way. You will enjoy fine cuisine amidst the elegant ambience of the GoldLeaf dining lounge. You won't be able to resist the Chef's creations which feature local delicacies such as BC salmon, accompanied by fresh fruit and vegetables. 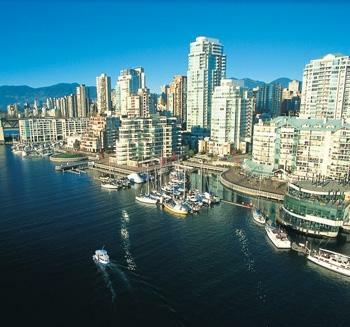 Arrive at Vancouver International Airport and transfer independently to your centrally-located hotel. Pick up your information kit at the front desk upon check in. The remainder of the day is at leisure to explore this coastal gem. Overnight in Vancouver. Spectacularly located between the Coast Mountains and the waters of the Pacific, Vancouver offers a world of entertainment, culture and adventure. 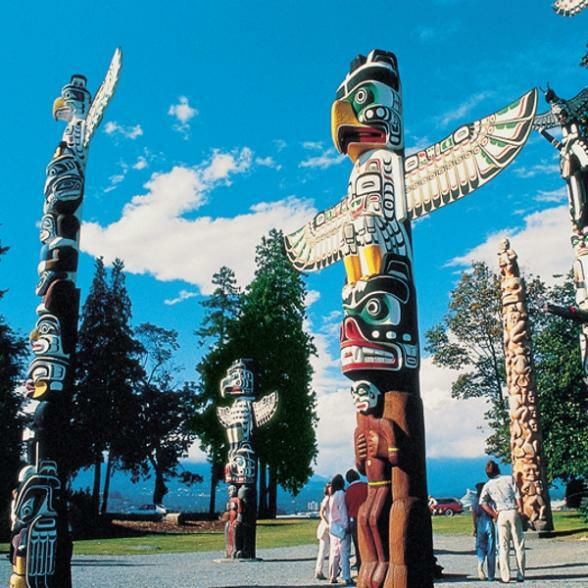 Discover Vancouver on a Hop-on Hop-off trolley tour, taking in the sights of historic Gastown, English Bay, Granville Island, the colourful totem poles of scenic Stanley Park and much more. Overnight in Vancouver. 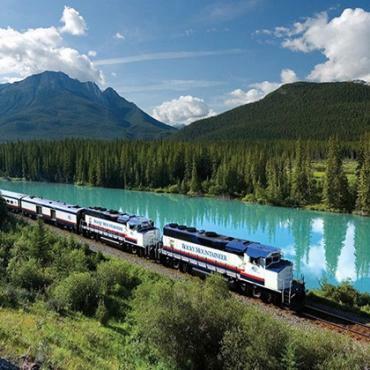 Enjoy a private transfer to the train station and embark on an unforgettable journey, onboard the Rocky Mountaineer, through the majestic landscape of Western Canada. Travel on the pioneer trail, listen to the history and legends of the West and enjoy the excellent SilverLeaf service. The train crosses the Coastal Mountains into the rugged beauty of the interior and follows the rushing torrents of the Fraser and Thompson Rivers. Overnight in Kamloops. Breakfast and lunch included. 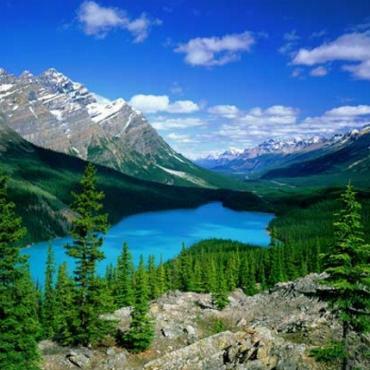 Today, relish the spectacle of snow-capped peaks, vividly-coloured lakes, glistening glaciers and alpine meadows as the train traverses the national parks of Glacier, Yoho and Banff. The majestic mountain ridges of the Canadian Rockies tower high above the meandering railroad en route to the charming resort town of Banff. Overnight in Banff. Breakfast and lunch included. 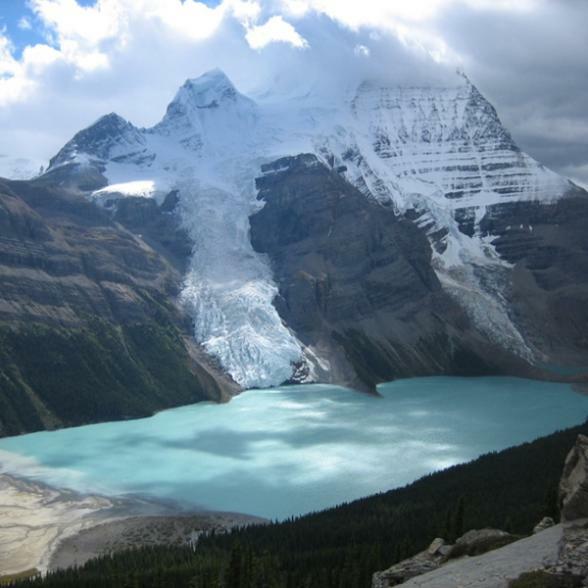 Canada’s oldest national park offers a world of activities and recreation in a mountain setting resplendent with awe-inspiring beauty. 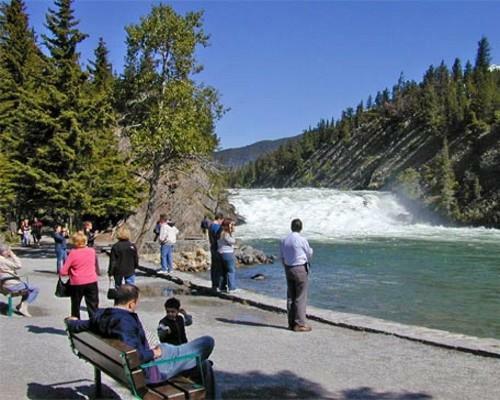 Spend the day at leisure in picturesque Banff, in the shadow of Mount Norquay, or explore the park along its vast network of hiking and horseback riding trails. 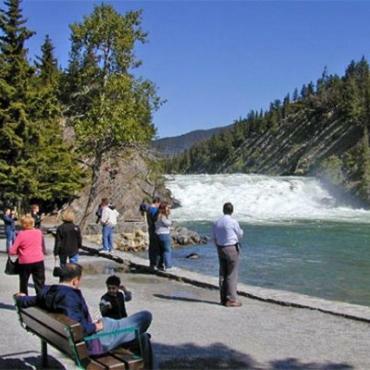 The area’s highlights include the Cave and Basin, Bow Falls and the Fairmont Banff Springs Hotel. Overnight in Banff. Leave Banff and travel north along the famous Icefields Parkway into the untamed wilderness of Jasper National Park. Every turn unveils spectacular vistas of indomitable peaks, outstretched valleys, cascading waterfalls and colourful meadows. At the Columbia Icefield, take the opportunity to tour onto the surface of the Athabasca Glacier onboard an Ice Explorer (ride included). Overnight in Jasper. 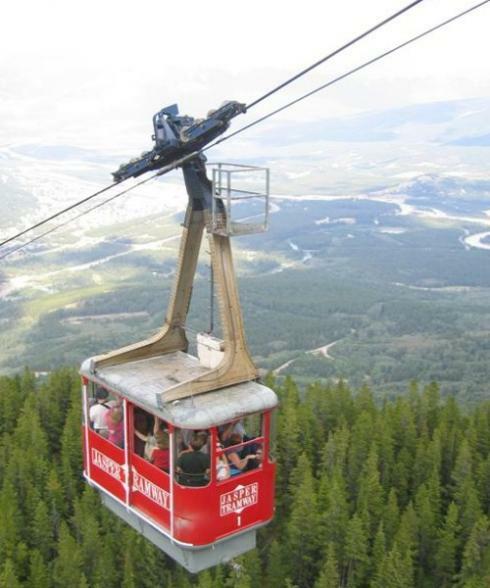 Enjoy some time in the resort town of Jasper, which still boasts an intriguing frontier identity. 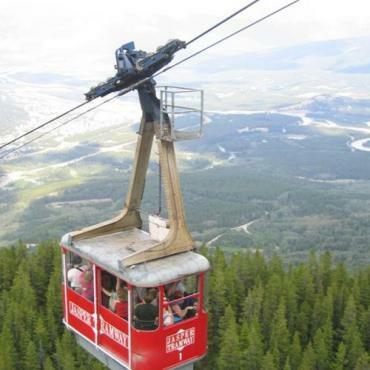 Venture into Jasper National Park and hike past serene lakes and gentle meadows beneath jagged mountain peaks; or ride the Jasper Tramway and relish the commanding views of the town site and surrounding mountain ridges. Guided excursions are also locally available. Overnight in Jasper. 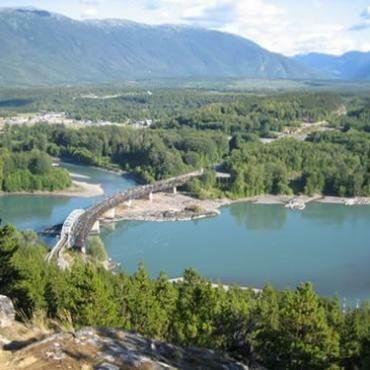 Today, embark on a memorable rail journey across British Columbia’s northern region to the waters of the Pacific Ocean. 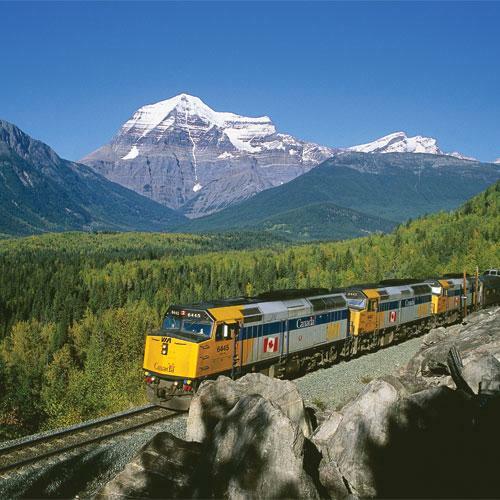 Pass the cloud-veiled peak of Mount Robson and watch the horizons widen as the train descends from the Rockies onto the rugged interior plateau. 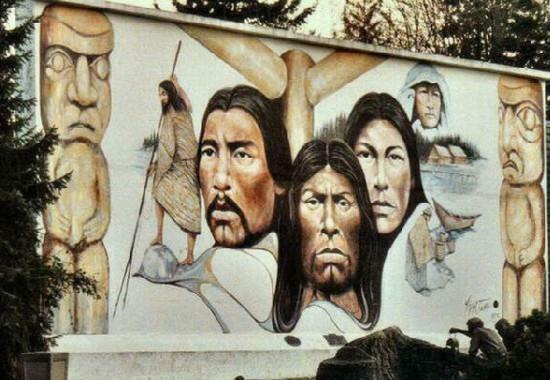 The northern arm of the Fraser River leads to Prince George. Overnight in Prince George. Lunch and dinner included. 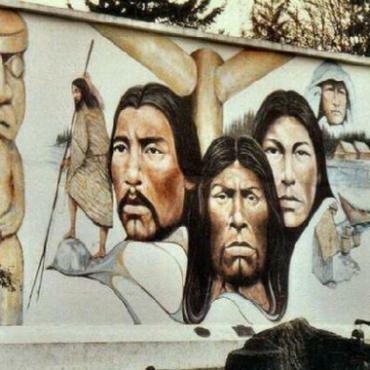 Continuing west, enjoy the rugged beauty and pioneering character of a landscape once solely travelled by First Nation people and fur traders. 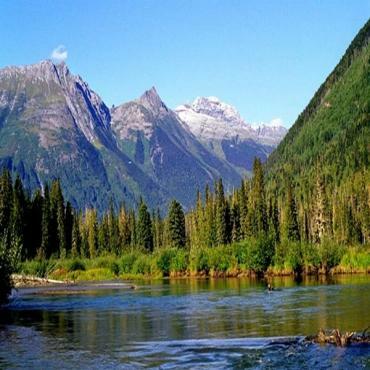 The train follows the turbulent currents of the Skeena River and meanders through spectacular canyons and open valleys in the presence of ever-present mountain ridges. Overnight in Prince Rupert. Continental breakfast, lunch and dinner included. Welcome to the glorious Inside Passage, a paradise for photographers and wildlife enthusiasts. Sail to Vancouver Island through a maze of enchanting islands, relishing the ever-changing vistas of deep fjords, densely forested shorelines, massive ice-flows and jagged inlets. 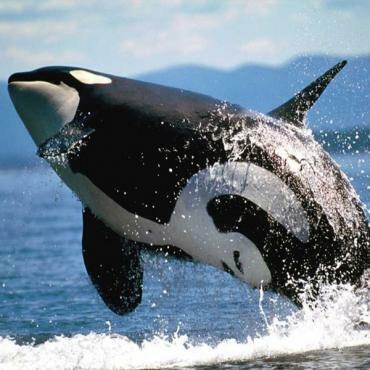 Watch bald eagles soaring overhead, sea lions slumbering on the rocks and whales traversing the offshore waters. Overnight in Port Hardy. The elegant city of Victoria is the capital of British Columbia and the setting for a full day of independent sightseeing. 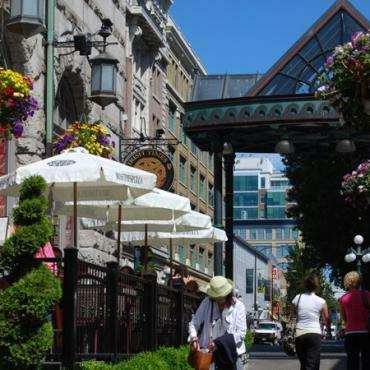 Visit Victoria’s historic heart and experience its quaint colonial demeanour, reflected in such gracious landmarks as the parliament buildings, the Royal British Columbia Museum and Bastion Square. To round off the day, you may enjoy traditional High Tea at the Empress Hotel. Overnight in Victoria. 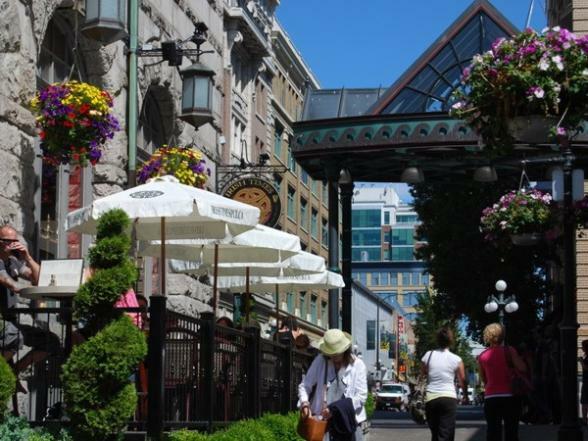 You have ample time to explore the Inner Harbour or to stroll along Victoria’s enticing shopping streets. 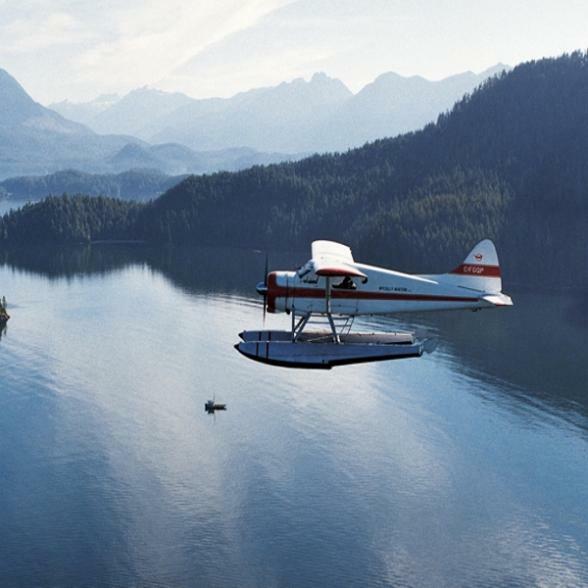 Experience the exhilaration of travelling by floatplane across the Strait of Georgia to Vancouver. Enjoy the breathtaking bird’s-eye view of the city’s skyline as you approach for a thrilling landing on water. Overnight in Vancouver. Today is your final day and flight back home to the UK, however, your adventure doesn't have to end here. Perhaps you may want to extend your stay and cross the border into America and explore Washington and Oregon's rugged western coastline. 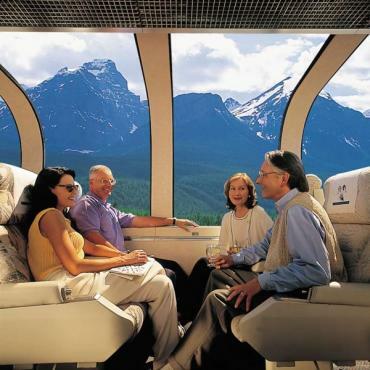 Call the travel experts at Bon Voyage to discuss your ideal Western Canada Rail and Sail adventure.